There are very few cities in the world versatile enough to accommodate more than one culture. Mexico City is an exception, and it has a very high population of people from various parts of the world. These people have integrated their style of living with the culture of the Mexican people. The reason for your visit to the city doesn’t matter, but you should know it is inevitable for you to have fun while in Mexico City. However, fear of standing out as a foreigner in the streets should not be a problem because there are many other nationals from your country scattered all over in the city. Why the city has so many foreigners? You don’t have to take my word for you to understand the amazing things you can do in the city of Mexico. But then, the sizeable annual turnout of individuals from all around the globe should be enough to prove the outstanding activities and pleasantries you can enjoy in the Mexico City. 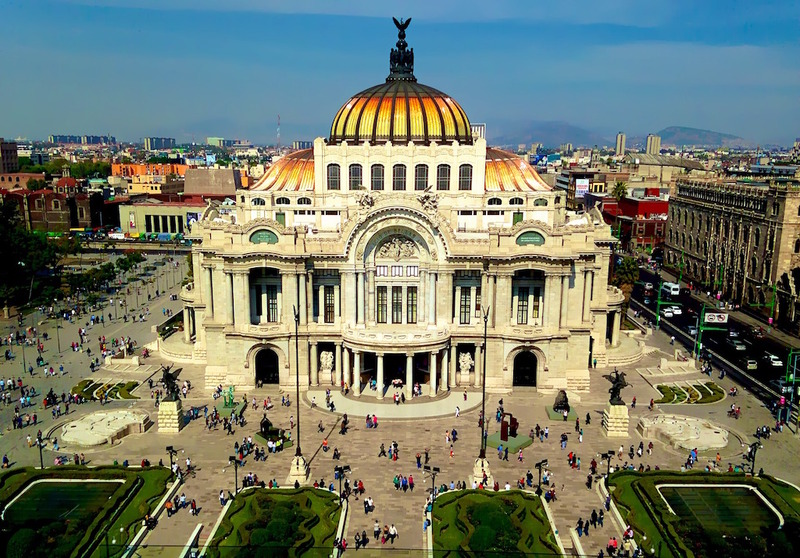 The following are four strong factors that make up the elegance of Mexico City. The Mexican City has a way of making everyone feel at home as if they fit in. It is because the earliest foreign settlers came and established their culture in the midst of the city. This makes it easier for the newcomers to adapt to the new life of Mexico swiftly. This is only possible since the travelers get to experience some bits of lifestyle relatable to their home culture. Mexico City is surprisingly home to three out of the best restaurants in the world. Apart from scrumptious meals, you will also appreciate the artistry of the interior décor of these restaurants. They have a well-organized setting filled with highly esteemed staff dedicated to making you happy. Subsequently, the streets of Mexico City will seem like small heaven if you are into street foods. The local cooks in the city roads fashion their delicacies to appear like a piece of art. Example of popular foods in the streets includes the likes of Nachos, Burritos and the Tacos. Watching the professional expertise of Lucha Libre will make you reconsider all your choices of entertainment. You will be astonished to enjoy wrestling if that’s not something you initially relished. Looking at the local masked men and women scrambling one another randomly then later realize there is a told story behind every scene is mind-blowing. The city also has a hand full of sites that are globally recognized. The canals and gardens of Xochimilco, the historical center of Mexico City and the Luis Barragan House and Studio are a few places you will blame yourself if you fail to visit them. You can learn about the Mexican a lot from cruising through the canals on a trajinera (a sophistically decorated boat). On your way to the floating gardens of Xochimilco, you will also get to see chinampas. The Aztecs developed the chinampas as an agricultural invention of turning swampy areas into arable land. The life in Mexico City is spectacular, and you can be overwhelmed by the many choices at hand. Although it is one of those highly underrated cities, the city is completely safe unlike the horrors advertised in the media. The cosmopolitan culture in the city has led to a harmonized atmosphere filled with life and light every year. Most people tend to stay in Mexico after the first visit. You should be careful not to fall a victim.